A dreamy fantasy quest set in a fairy world. Yet again, Holly shows us our heart’s desire. So magical, so dreamy: storytelling that’s softer and cosier than a feather eiderdown. Danger has reached its icy finger into Emily’s family. There’s a boy her sister Lory keeps bringing home. Emily doesn’t like him. She senses something dark in him. Then she discovers the boy has tricked Lory into taking him through the doors into the fairy world. How will Emily get her sister back? 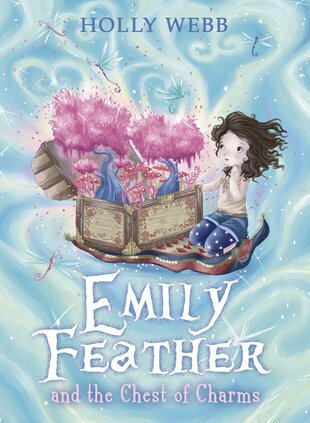 I love all Emily feather books i really hope there would be fifth one. Holly Webb has definitely done a fantastic series. Emily has discovered that the boy her sister seems crazy about is not who he says he is. It is really good.